I have no idea how on earth I am supposed to describe this book, but I will say I was gripped from the start and read it in 3 hours flat, without pausing except to tell mum to stop talking at me as there was only 10% left..and that yes I had started it at dinner time!! The first of my "OMG WTF" moments came at the end of the first chapter, and it was one of many. For over half the book I wax utterly convinced I had cracked what was happening, but evidently I was wrong and thankfully don't have the dark depths to my being to even contemplate just how many layers are in this book that have been crafted so carefully that you are literally guessing and unsure as to the potential ending the entire time. I would love to tell you about the book but given what I now know, there is very little I can say that won't give potential hints as to the plot and what may be crucial, or a double bluff or something else at any given time. Regardless it was an immensely cleverly crafted story with some truly memorable characters. 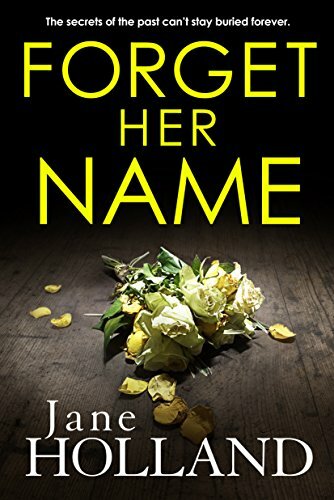 Forget Her Name is a book that got under my skin, I didn't particularly find it creepy, although in places it was slightly disturbing. I had a lot of empathy for the main character, especially when seeing how others were reacting to her various claims. It was like there was a mystery wrapped up in a psychological drama, that just works on so many levels. 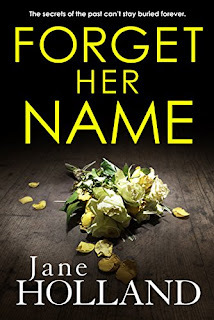 I truly believe this could be Jane Holland's best book so far and I've read quite a few of them. It has everything you want in this sort of book, and a premise that I haven't seen before, at least not in this way. Absolutely amazing, ultimately I dare you to Forget Her Name after you see what she has been through in this book, I bet you won't be able to! This sounds just up my street! Will add it to the list.